Hotel staff members were unable to use their phones in the two sub-basement floors (separated by cement). Cel-Fi QUATRA was able to overcome these obstacles. An international hotel chain in San Antonio, Texas has two sub-basement floors (separated by cement) that house the human resources, operations, and housekeeping departments. Once staff (specifically AT&T subscribers) entered these areas, they were unable to use their cell phones to communicate due to poor signal coverage. The hotel installed a bi-directional amplifier (BDA) passive distributed antenna solution (DAS), but coverage was limited as the coax cables used for this solution did not reach all areas that required coverage. To extend the coverage, the hotel would have to invest in additional coax cabling and costly connectors. But even then, there would be no guarantee of uniform cellular signal throughout the basement floors due to attenuation of signal from the system headend to the antennas – a limitation of this technology. 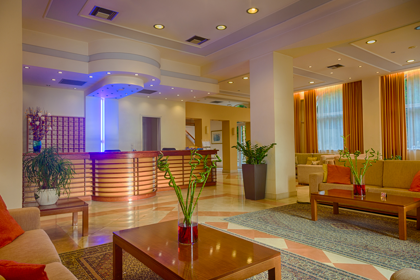 Hotel management called on SignalBoosters.com, a leading provider of commercial signal boosting and wireless solutions, to find out about alternative solutions. SignalBoosters.com proposed the Cel-Fi QUATRA enterprise in-building cellular solution to address the hotel chain’s cellular coverage needs. Cel-Fi QUATRA is an active DAS hybrid that delivers a cellular signal up to 1000x stronger than other solutions, utilizing Cat5e cabling and Power over Ethernet, with no signal attenuation right to the perimeter of the building. The ability to use Cat5e cable compared to traditional coax cable sped up the installation and kept costs down for the hotel. Cat5e cables can be up to five times less expensive than coax cables, can be extended farther, and are also simpler to use.